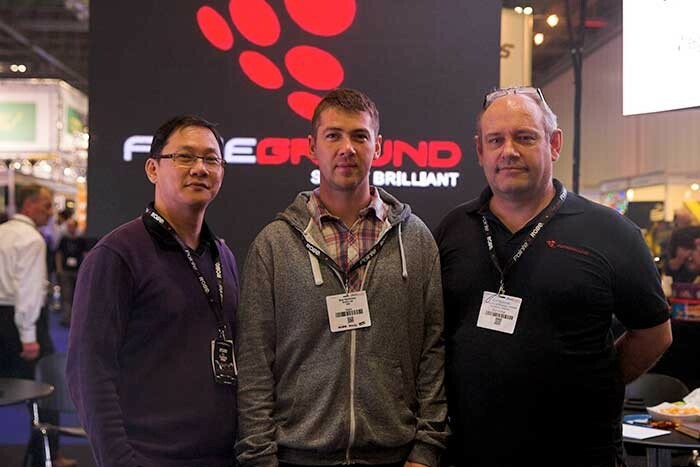 Aylesbury-based entertainment technology design, installation and sales specialist EMTO, headed by Wes Matthews, has been appointed as a UK and European distributor for Foreground LED screen displays, a high quality manufacturer based in Shenzhen, China. The deal was cemented at the recent PLASA lighting & sound exhibition in London. Wes Matthews began his industry career aged 14 and now has 20 years’ experience and hands-on knowledge at the ‘sharp-end’ of the industry. EMTO was founded four years ago to facilitate the supply of lighting and visual design projects in which time Matthews has established a reputation for providing well engineered, high quality, imaginative and interesting solutions for all types of venues, spaces and circumstances. “The time is right to diversify and move the company forward and our intention is to establish the Foreground brand as a good-looking, robustly built and reliable product range that is practical and easy to use for all types of applications,” states Matthews. Foreground has products that are ideal for both installation (LimboLED) and the touring, rental and staging markets (MamboLED) and EMTO will be actively marketing to both. In addition to sales, there will be a rental stock available via EMTO. Key features differentiating LimboLED and MamboLED from a sea of other LED products are its ease of use, easy rigging and its ultimate serviceability. LimboLED is ultra-slim and also has a curvable design option for plus or minus 10 degrees, utilising special ‘egg-box’ corners with front accessibility. It also uses black LEDs. Its weight of 6.5kg for the 6-10mm indoor and 8.5kg per panel for the 10-16mm outdoor is among the industry’s lightest, making installation – even by a single person using a basic set of tools – extremely straightforward. MamboLED are ruggedly built 768 x 768 mm panels with a depth of just 114mm and are available in a range of pitches including 8, 9.6, 14 and 16mm for outdoor use, and in high resolution 4 and 6mm for indoors. The Indoor 4 and 6mm panels are also available as Mambo Twist curvable variants up to 20 degrees. With the rental market in mind and the need for fast and efficient set-up, MamboLED has a patent-pending KWIK-Connect system and can also be supplied in tough heavy duty aluminium touring frames. The system is supplied with adjustable hanging brackets for speedy height alignment. The outdoor versions come with Pro-SMT LED, a patent-pending component with high impact resistant shields that protect the surface mounted LEDs from moisture and UV. Matthews, who anticipated the increasing ‘convergence’ between lighting and video some time ago thinks it’s a good time to introduce a new brand to the market. “We share the same core values and I am looking forward to a long and successful working relationship between Foreground and EMTO,” he concludes. In picture: Ko Su Piow (director, Foreground), Wes Matthews (MD of EMTO) and Clifford Rickman (director Foreground).